Retail $6.90 SAVE 19% ! I am a beginner modeler and this is the first time i have used this product. so far i am very happy with this clear coat and would recommend it for sealing in decals. Made of lacquer and is flammable and toxic. Contains no lead or harmful CFC'S. One 3 oz. 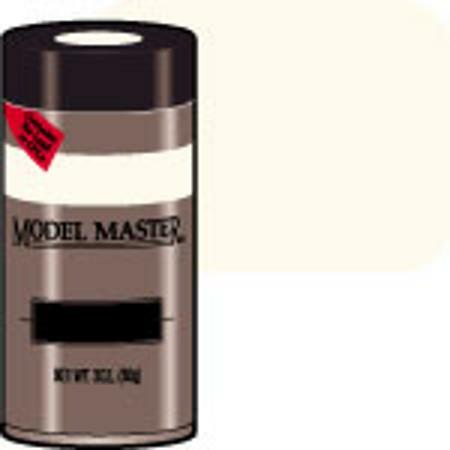 (85 g) Can of Lusterless Flat Finish Lacquer Spray Paint. Excellent spray for sealing your gaming figures after painting. The single best clear flat spray out there. Yes, being a lacquer it takes time to dry. But, once dry. It&apos;s clear, no haze at all. Avoid eye contact, skin contact or prolonged breathing of vapors; best to use in a well-ventilated area. Product has chemical known to cause birth defects and other reproductive harm in the state of California. Shake can vigorously before using, reshake often and use at room temperature. For best results, spray in even strokes and do not stop painting in the middle. To clear valve after use, invert can and spray several seconds; if nozzle clogs, clean with thinner.